Yee Hong is the gold standard and leader in providing excellent, culturally appropriate seniors’ care ad programs. Yee Hong continues to promote innovation; exploring new ways of delivering services; collaboration; and a culture of quality throughout the organization. During a period of rapid healthcare system transformation, the Ministry of Health and Long Term Care has awarded Yee Hong and their partners an additional 800 new bed licenses, in addition, Yee Hong is building a residential hospice. We are seeking an engaged, progressive and inspired leader that can support change management initiatives through this exciting operational growth. Yee Hong Centre for Geriatric Care is a non-profit organization serving seniors in the Greater Toronto Area. Yee Hong delivers a continuum of high quality, culturally appropriate services to enable seniors to live their lives to the fullest - in the healthiest, most independent and dignified ways. Thousands of seniors of various cultural backgrounds benefit from Yee Hong’s long-term care, senior housing, medical and rehabilitation services and community-based programs every day. 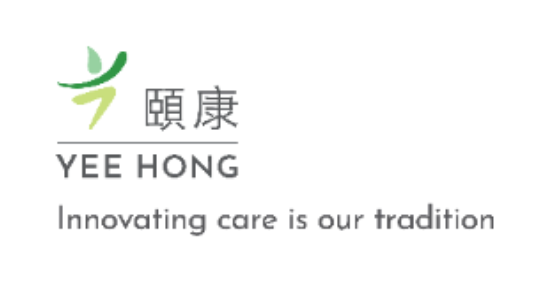 Yee Hong operates a total of 805 long-term care beds at four sites. They are currently constructing a Scarborough Residential Hospice and will be building 3 additional LTC homes to accommodate 800 new beds over the three sites. Yee Hong understands employees are their greatest resource in delivering excellent care and service, and they are committed to providing a rewarding work environment for employees to thrive. Reporting to the CEO, the VP Operations/CNE provides strategic and operational leadership in the development and delivery of Yee Hong’s long-term care operations, professional practice and quality portfolio. The VP works collaboratively with the Senior Leadership Council to define and support Yee Hong’s long-term care growth and success, while sustaining a culture of excellence in the provision of quality resident and family centred care. As Chief Nursing Executive, provides leadership to the LTC Centres and accountability for advancing professional practice, application of ethics to clinical practice, quality and risk management in care and service delivery, and interprofessional education. An inspirational leader, the VP leads and supports four Executive Directors (LTC), Director of Hospice and Director of Quality and Performance. The number of direct reports will expand with our growth. As a minimum, you possess a Master’s degree in Nursing, Business or Health Administration plus 10 years of progressive experience in health care leadership. Ideally, you have completed the certification as an Administrator in long-term care, but this is not critical. You are a visionary, creative and collaborative leader, whose greatest joy comes from mentoring your teams to be the best they can be and deliver exceptional care to Yee Hong’s residents. To learn more about the positions please visit www.odgersberndtson.com/en/careers/15591 or contact Hayley Becker at hayley.becker@odgersberndtson.com. Yee Hong is an equal opportunity employer committed to an inclusive, barrier-free recruitment and selection process. Requests for accommodation can be made at any stage of the recruitment process providing the applicant has met the bona-fide requirements for the open position. If contacted for this employment opportunity, please advise if you require any accommodation.